It is recommended that business owners always thank people for their feedback of any type. 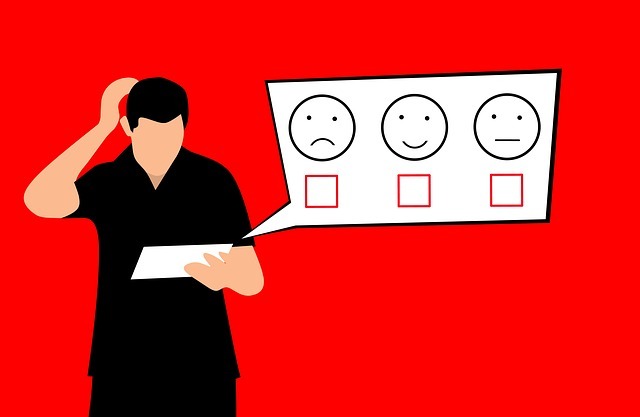 If responding to a less-than-favorable review, address the concerns and site customer service protocols that are in place for the business. Business transparency is important because instant communication and interaction with customers can make or break the reputation of a business. Secrets and hiding business issues does not work in a world of people who are constantly checking emails, social media pages, and twenty-four-hour news stations. People will be talking and posting about the business, so no response is not a viable option any longer. The best practice for Reputation Management is to respond to comments, criticisms, and complaints in a positive, professional, and public manner. It is recommended that business owners always thank people for their feedback of any type. If responding to a less-than-favorable review, address the concerns and site customer service protocols that are in place for the business. Indicate that the business strives to constantly improve and will take feedback into consideration. A receptive attitude and a friendly response on the part of the business lets other customers know there is a commitment to customer satisfaction and a high-quality product or service. It is vital to correct any misconceptions or misinterpretations of the policies indicated by those with negative comments that may be exaggerated or posted out of context. A customer may post on social media that a return was refused for no apparent reason. It is appropriate for the business to explain that returns are not accepted without a receipt, but an even exchange is offered under those circumstances. Respond quickly to avoid an uproar from other customers. Being transparent encourages customers to express concerns and complaints that are opportunities for the business to improve. Knowing what is not working directly from customers assists the business with marketing strategies, a better understanding of targeted audiences, and how the message is perceived by the public. A campaign that sounded great in the development stages may not have the desired effect with audiences. Those who are confused, offended, or angry will make it obvious fast. This provides an opportunity for the marketing department to pull the advertisements and reduce losses. The concept of reputation management is not simply to put out fires and respond to complaints. Fostering transparency and one-on-one communications and interactions with customers is also a way to build respect for the business. In addition to monitoring what is posted about the business, being proactive on business social media pages is one way to experience fewer negative reactions and maintain high rankings. Online Reputation Management is crucial to any size and type of business that is serious about being competitive in this age of instant communication.